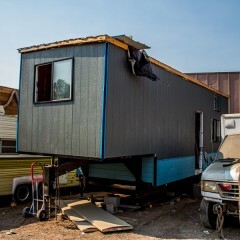 Natalie Wade came to NIMBY to build a tiny home on a 24’, goose neck trailer. 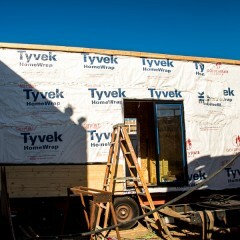 With twelve years of construction experience, she didn’t feel daunted by the process; this will be her third go round with building a tiny home. 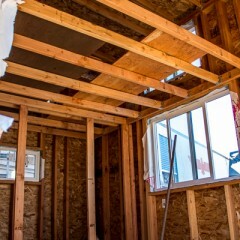 After doing a little bit of research, she decided to sell her first home and build something different for herself. It sold within a week. 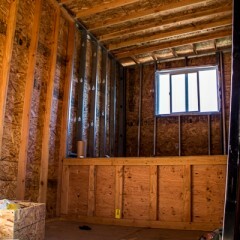 After building her second home, she decided it was a little smaller than she wanted. That home is currently in storage and for sale (if you’re interested, you can contact her using the link at the bottom of this bio). 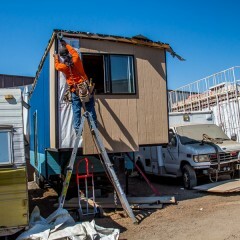 Every inch counts when building a tiny home, and those extra feet on the goose neck trailer will allow for a spacious closet. “Some things, you just don’t want ‘tiny’,” she said with a grin. 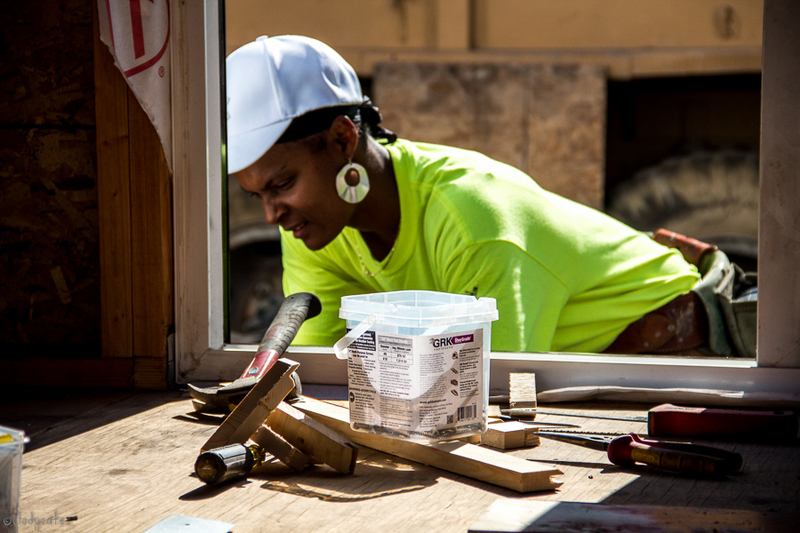 Building her own home has been a goal of Natalie’s since she was little, and as an adult, building it on her own time at her own pace and to her own specifications became a strong incentive. 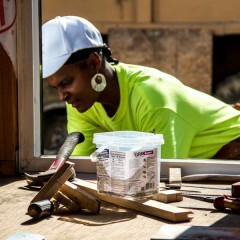 Carpentry, with its diverse range of materials and practices, is her trade, but on this third tiny build, she’s looking forward to figuring out how to tackle a few new challenges as she improves on the process. 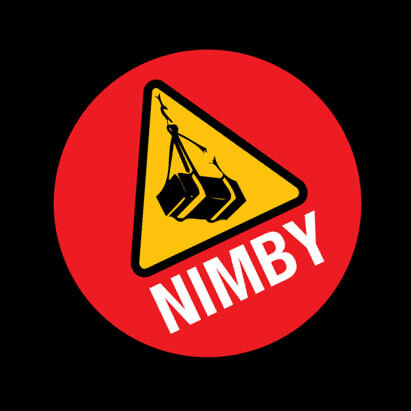 NIMBY’s diverse range of Makers and other tiny home builders will be an additional resource in that process. 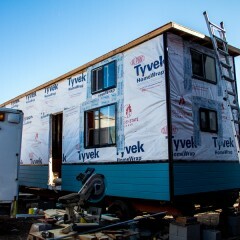 Just where she’ll end up with her tiny home isn’t a big concern at the moment for Natalie. 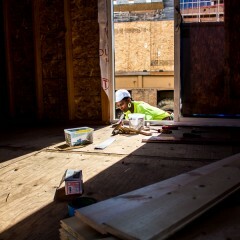 She’s confident she’ll find something, and in the meanwhile, she has a house to build. 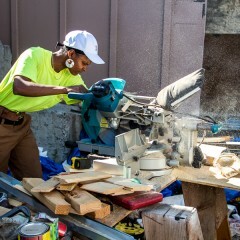 Natalie Wade runs her own handy-man business: Dumb Clogs – Sewer and Drains. 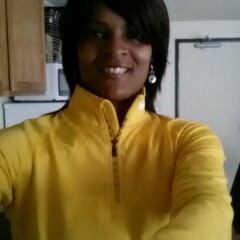 Please contact her for further information and rates.